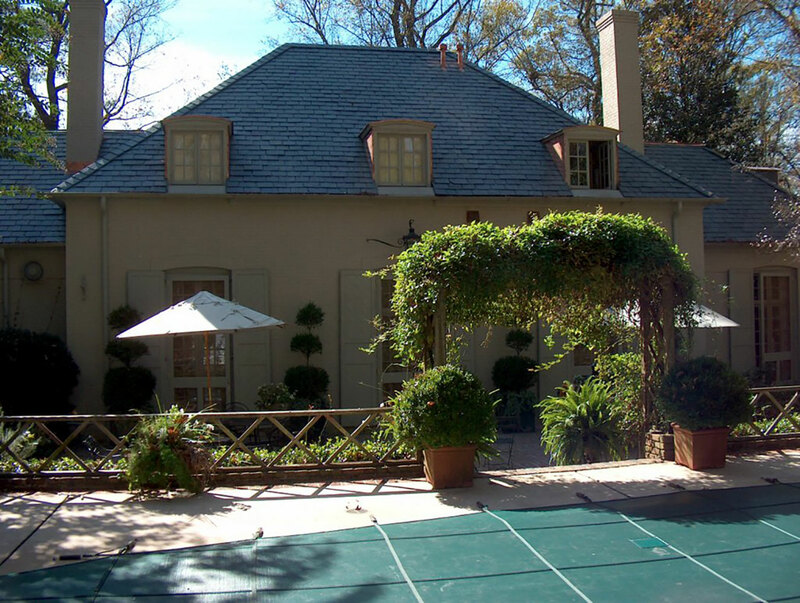 Some of Atlanta’s finest homes have slate roofs. Slate is a very durable roofing material offering a natural look. 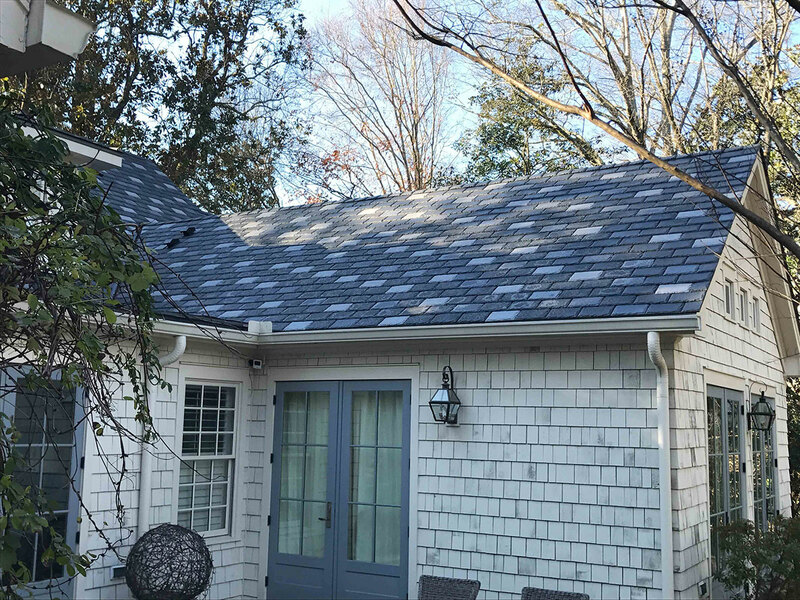 Slate roofs can be laid out in a variety of patterns to create a look unique to your home. 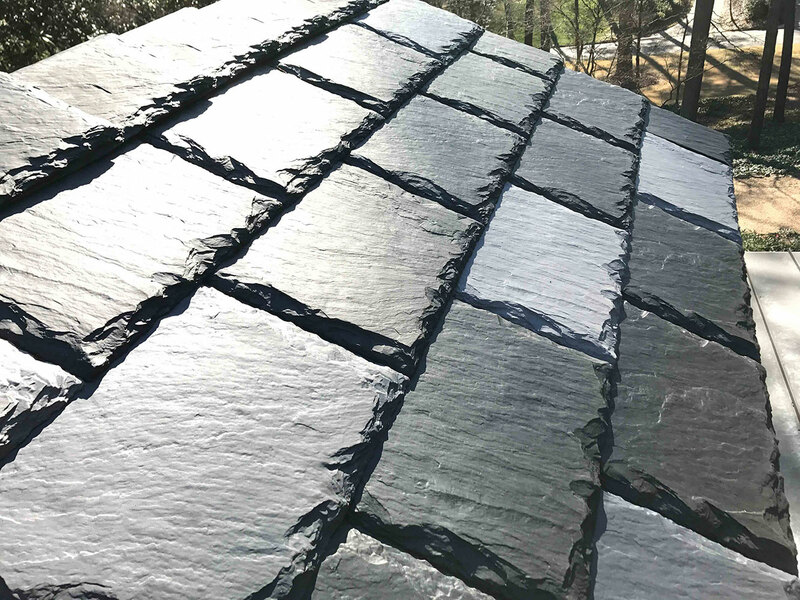 What Is Slate Roofing, and Where Does Slate Come From? 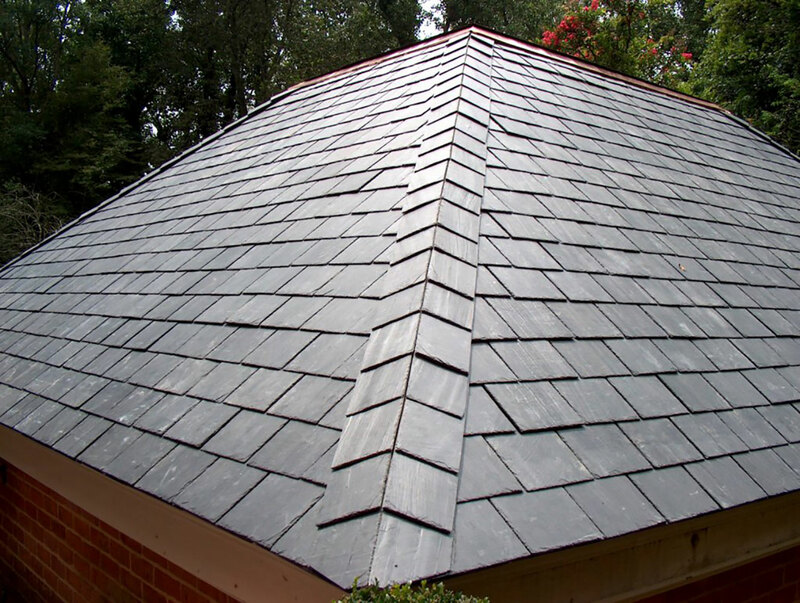 A great roofing material, slate is a fine-grained sedimentary rock derived from clay or volcanic ash. Slate is made of natural stone quarried from the Northeast United States, Canada, Virginia, Wales, Spain, China, South Africa, and other parts of the world. For over 150 years Buckingham County Virginia has been the location where some most famous slate is quarried. 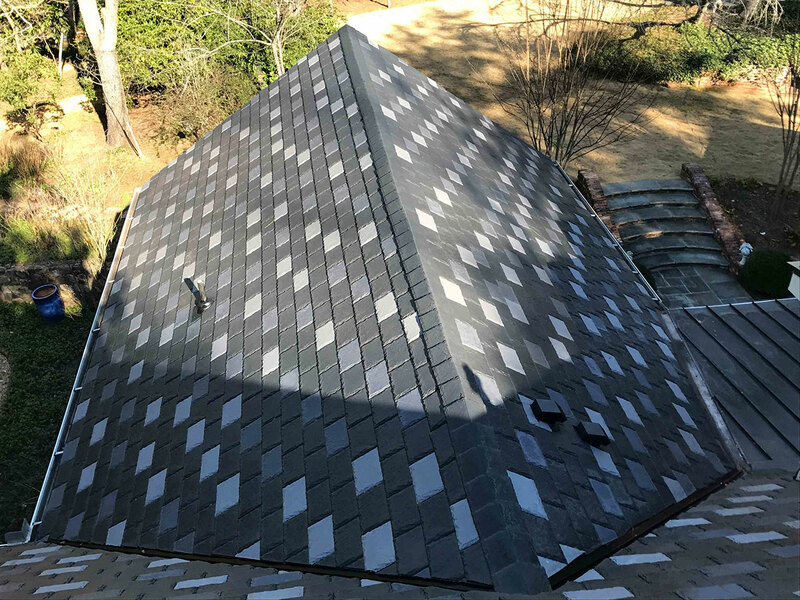 Known as “Buckingham-Virginia slate,” KTM’s master roofers are often called upon for the installation of this slate on metro Atlanta homes. 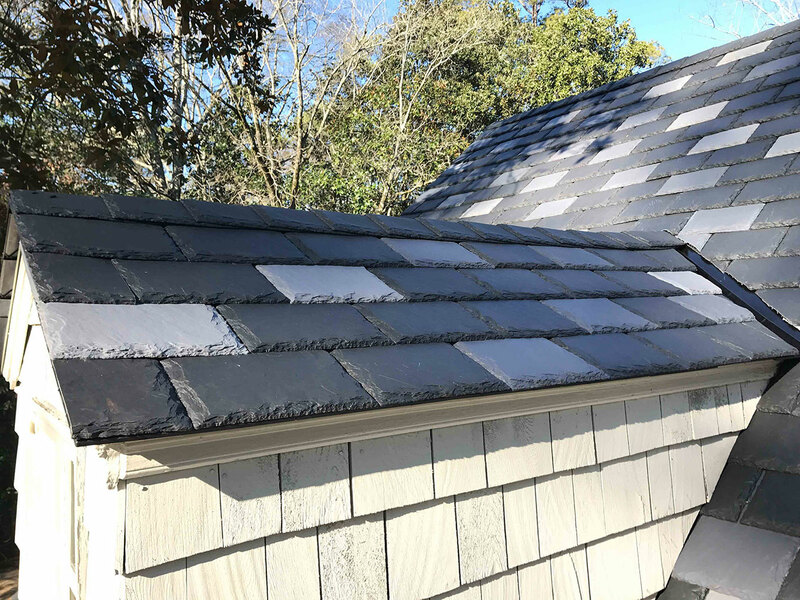 Buckingham-Virginia slate is renowned because it has a reputation for not showing signs of fading or decay and is a favorite of architects because of its assurance the building will receive a lifetime of roof protection while enhancing the building’s beauty. DaVinci Roofscapes’ synthetic tile is lightweight and comes in earth-tone colors like castle gray, evergreen, and brownstone. EcoStar® synthetic slate is environmentally friendly and manufactured from recycled rubber and plastics. TAMKO® Lamarite® slate shingles are lighter in weight than quarry slate and very realistic looking. 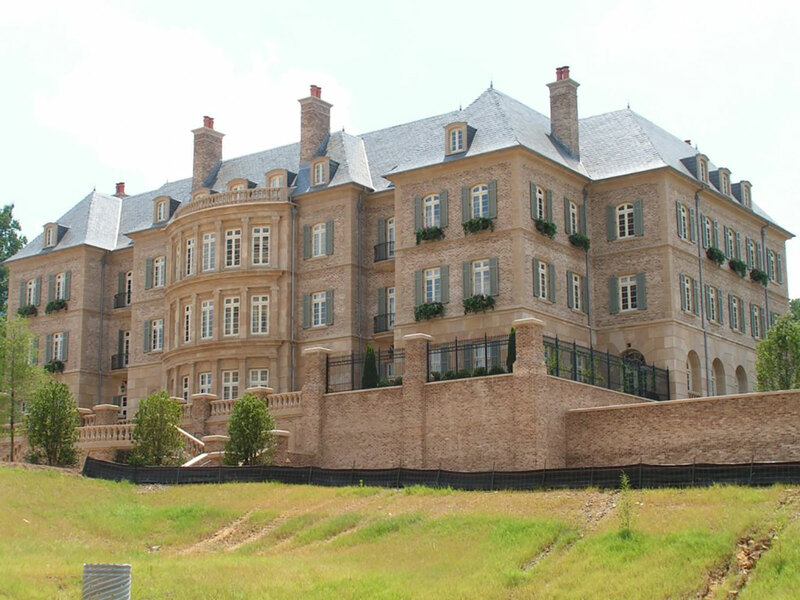 Finding an Atlanta Slate Roofing Contractor? 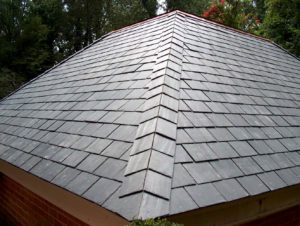 It is important to choose the best Atlanta roofing contractor to install your slate roof. 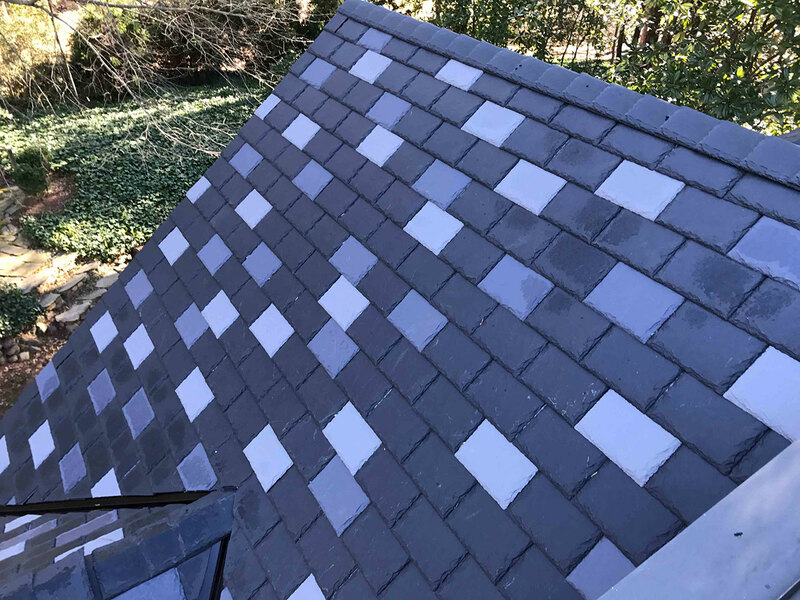 We have extensive experience with slate roofing materials and installation at KTM Roofing. We use professional crews and the highest quality materials, and we have been in the roofing business for more than 30 years. Investment costs: Slate has a relatively large “up front” cost, but its long lifespan and durability will pay off in the long run. Support: Slate is very durable and its weight may require additional reinforcement for your roof.